Author's note: This is an extended version of an article that appeared in the Monterey Herald on December 1st. In January 1987, Ric Munoz sat stoically inside a health clinic, waiting to hear news that he long expected. He was a 28-year-old marathoner who was logging increasing mileage and faster race times with each passing year. He also had very good reason to believe that he might soon be dead. Munoz’s fears were confirmed that day: his physician informed him that he was HIV+, and that his life expectancy might be as brief as a handful of months. However, on this World AIDS Day 2011, nearly 25 years later, Munoz is not only still among the living, but remains a talented and successful runner well into his 6th decade of life. His story represents not only the tremendous advances in the medical fight against AIDS, but also the healing, life-sustaining benefits that running offers to all of us. Along the way, he enjoyed 15 minutes of celebrity fame thanks to Nike – but by the time the company discovered him, Munoz had already been been inspiring people and defying conventional wisdom for years. He welcomed the opportunity to be interviewed – at one time, it was something he was very accustomed to – to share the long, strange, often scary but ultimately uplifting adventure his life took after being diagnosed with HIV. 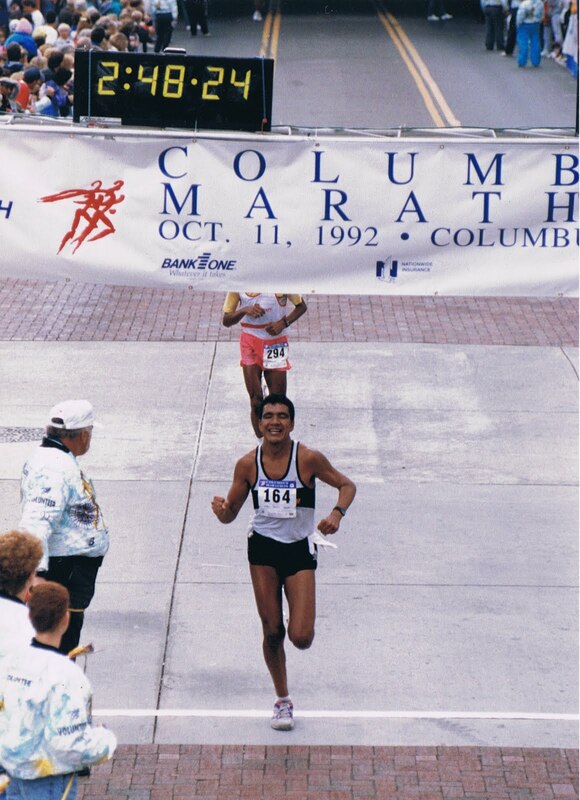 For the next few years, Munoz was what anyone would call a strong, healthy recreational runner; he trained 40 miles per week, and entered dozens of road races from 5Ks to marathons. However, he also harbored a nagging certainty that his life was increasingly at risk with each passing day, which ultimately led to his fateful clinic visit in 1987. Munoz was “100% certain” of what the result would be. Gay media outlets had alerted people to the looming epidemic as early as 1981, and Munoz realized that he was too deep within the circle of impact to emerge unscathed. “If testing had been available in the late ‘70s or early ‘80s, I likely would have tested positive then, too, primarily because I was part of the group - sexually active gay men - that was at highest risk.” By the time the mid-1908s rolled around, Munoz had already lost several of his friends and running partners to AIDS-related illnesses. Accordingly, he received the positive diagnosis with complete calm – in fact, he vividly remembers how stunned the person at the clinic was when Munoz heard his test results. “I’m pretty sure he expected everyone who got a positive test to break down and cry or otherwise collapse emotionally,” he recalls. When you’re 100% certain that something is going to happen, it’s tough to have a look of surprise when you find out you’re correct. Under the surface, however, the notion of being HIV+ was terrifying. Fatality rates for HIV in the mid-1980s were in the high 90th percentile, thus making a positive diagnosis akin to a death sentence. Munoz had already seen many close friends die, usually in horrifying fashion as their bodies progressively deteriorated over a period of several months. “The fear level was indescribable,” he stated. “One guy in my neighborhood, upon learning that he definitely had AIDS, killed himself by drinking a bottle of Drano. He was convinced he had no hope to survive.” The pervading hopelessness was like almost nothing else in the history of modern public health. Like any dedicated runner would do, Munoz used running as an outlet for his sadness, for his anxieties, for all the uncertainty and emotional thunderstorms that accompany such a dire circumstance. “I opted to accelerate my training and racing schedule immediately after the diagnosis,” he says. “I viewed it as counterproductive to wallow in worry or fear about the unknown.” His weekly mileage and training intensity sharply increased, and Munoz began running the fastest times of his life. It wasn’t until several years later that HIV specialists came to accept that physical activity does more help than harm – and it wasn’t until a high-profile superstar athlete contracted HIV that the athletic community felt the impact of what had previously been considered simply a “gay disease”. Ironically, Magic Johnson’s surprise retirement from the Los Angeles Lakers in November 1991 also triggered Ric Munoz’s rise to public prominence as an athlete who had been successfully battling HIV for years. Munoz is a native Los Angeleno, so when his city went into a frenzy in the wake of Magic Johnson’s announcement, he wrote a letter to the editor of the Los Angeles Times. “I basically said people were overreacting to Johnson’s news, and that he should work to avoid the ‘death sentence mentality’ maintained by many who were HIV positive. With the right attitude, he still had a long life ahead of him,” he reports. “Thank goodness I was right! I also pointed out all the marathons I’d run to that point (40) and how I never would have run them if I’d bought into the type of ‘it’s-just-a-matter-of-time-before-he-dies’ speculations that his fans and the media were ignorantly tossing Johnson’s way.” Munoz seemed like a lone voice in the wilderness at the time, but it was hard to argue with his own success: in June 1992, five years after being officially HIV+ and six months after Magic Johnson’s retirement, Munoz ran a lifetime-best 2:44 marathon. He was now running more than 10 marathons per year, and still not showing signs of the disease. 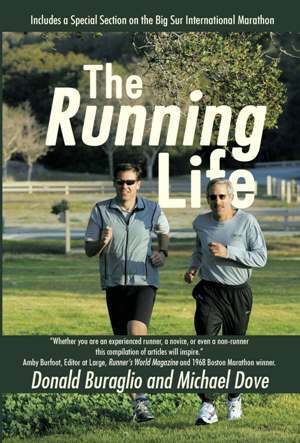 Munoz’s story was compelling enough that the Times did a profile of his marathoning and living with HIV. Over the next couple of years Munoz would be profiled by other publications including the New York Times – and in November 1994, he received a phone call from an advertising agency representing Nike. The company was inspired by his story, and recruited Munoz to appear in one of its popular “Just Do It” television ads. The resulting commercial was filmed in one day on the trails of Malibu Canyon State Park. The director was Joe Pytka, a legendary ad industry figure who was also responsible for Nike’s “Bo Knows” series as well as the Larry Bird / Michael Jordan “Nothin’ But Net” spots for McDonald’s. It’s beautiful in its simplicity: interspersed among scenes of Munoz running on scenic trails, a series of black title cards appear onscreen: Ric Munoz, Los Angeles … 80 miles every week … 10 marathons every year … HIV positive. Nike’s landmark “HIV Runner” spot premiered on February 9, 1995 during that night’s episode of ER. It had an immediate impact on the running community, and shattered popular misconceptions about living with HIV. Director Joe Pytka later said it was one of his proudest ads, and it was ultimately named one of the 50 greatest TV commercials of all time by Entertainment Weekly magazine. 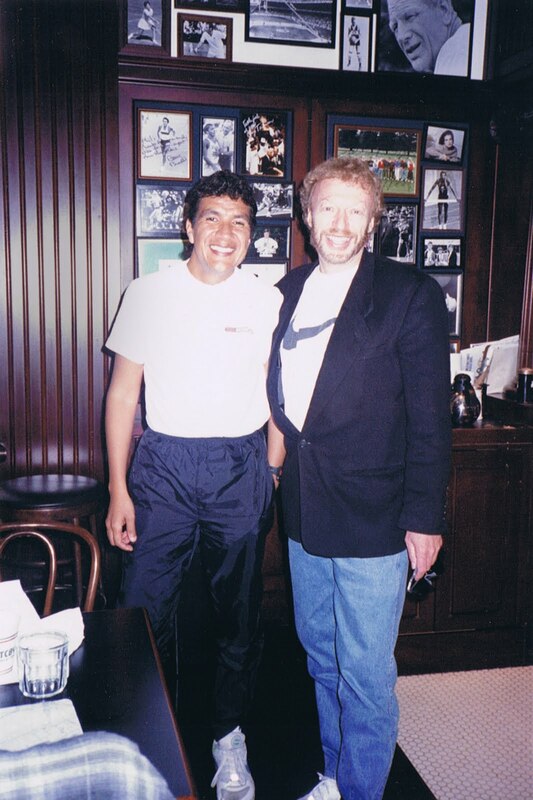 Munoz spent time hobnobbing at Nike headquarters in Oregon and became friends with company founder Phil Knight. The commercial aired globally, and Nike flew Munoz to London to help promote its original airing in England on World AIDS Day 1995. Of course, fame doesn’t ensure ongoing health, and running doesn’t provide immunity from disease. Munoz had typically been reluctant to take AZT or DDI, the treatment drugs available at the time, because of their significant side effects. “My doctor respected my wishes, but also warned me that one day the HIV would be too strong for my immune system to handle,” he says. The doctor’s prediction came true in 1998, when Munoz acquired an opportunistic infection called cryptosporidiosis, and his T-cell count dropped significantly. Normal healthy individuals have a T-cell count between 500 and 1500, and a count below 200 in HIV+ individuals increases the risk of fatal infection. In mid-1998, Munoz’s T-cell count was 3; if he had deferred treatment just a bit longer, he most likely would have perished. Fortunately for Munoz, his crisis coincided with the advance of antiretroviral medicines called protease inhibitors, and he finally relented to his doctor’s urging to try the new medications. His T-cell count began to rise, and the infection eventually was entirely cleared. The brush with death taught Munoz an important lesson: from that moment on, he reports, “I never doubted my doctor’s advice again” on the importance of a regular medication regimen. 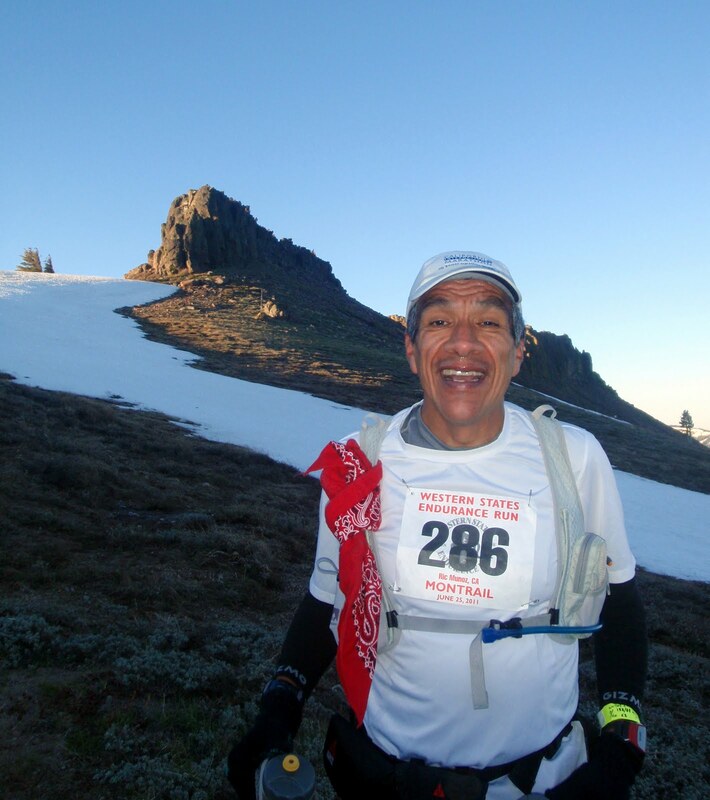 He also never relented on his determination to push the limits of his athletic performance – and shortly after the deathly scare, Munoz turned his attention to ultramarathons. In November 1998 he completed his first 50-mile event, and for the past decade he has competed in some of the most famous ultramarathons in the world, including the Comrades 56-miler in South Africa, and the Western States 100-Mile Endurance Run in the Sierra Nevada Mountains. Nowadays, however, he does so with the blessing of his medical team. “My current doctor is a marathoner,” Munoz says. “Hearing me describe the six 100-milers I’ve completed over the past two years has gotten him thinking about trying an ultra himself; he’ll likely start by doing a 50K. He’s voiced no objection whatsoever to the ultra distances I’ve raced.” His physician monitors Munoz’s bloodwork closely and tests his T-cell count four times annually; last year, Munoz’s number was a robust 904, the highest count he’s ever recorded. To date, Ric Munoz has completed 155 road marathons and 26 ultras, including six 100-mile finishes. He’s still a member of the Nike family, receiving free shoes and apparel, and he occasionally gets invited to the Nike campus to speak with employees or share his story for other promotional purposes. Sometimes he gets recognized at races, but he says, “So many years have passed since the commercial first aired, that makes it a less frequent occurrence.” As each race and each year go by, he becomes more like another face in the crowd – a notion that he wouldn’t have believed in his wildest dreams more than 20 years ago. More importantly, his journey has instilled the same blessings of peace and insight that many cancer survivors experience: the knowledge that every day is precious, and that life needs to be savored and enjoyed, because we never know when we’ll cross our final finish line. “I never lose sight of the fact that today could easily be my last day on Earth,” Munoz says. He’s “grateful to be around to see another World AIDS Day”, and takes life one fragile day at a time. That last notion might not be as far-fetched as it initially sounds. Given how utterly bleak things looked 30 years ago, and realizing how far medicine has progressed since then, it’s not hard to imagine that another 30 years from now we might be talking about AIDS in the past tense, just as we do with polio today. And as a robust 53-year-old with healthy activity habits and a potent treatment regimen on his side, there’s no reason to think that Munoz won’t be there to enjoy it.